What was previously believed to be a romance story in a biopic of Confucius turns out to be a short episode of poem discussion. Members of the media were invited on Wednesday to the set of the upcoming film "Confucius", starring Hong Kong actor Chow Yun-Fat as the ancient sage. 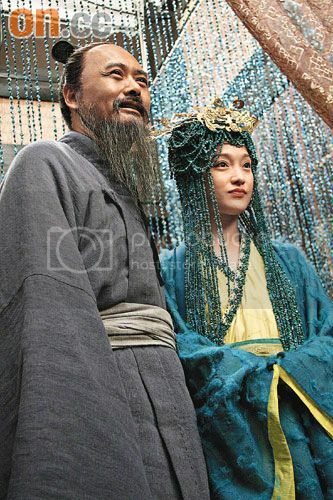 Filming is currently underway near Beijing, where Confucius meets with the notorious concubine Nan-zi. 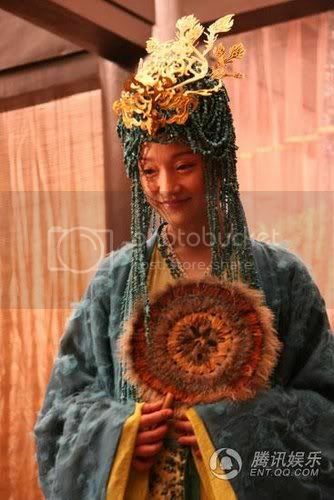 In the hotly discussed scene, Nan-zi, played by mainland actress Zhou Xun, welcomes Confucius into her room, and asks him for interpretations of poems. 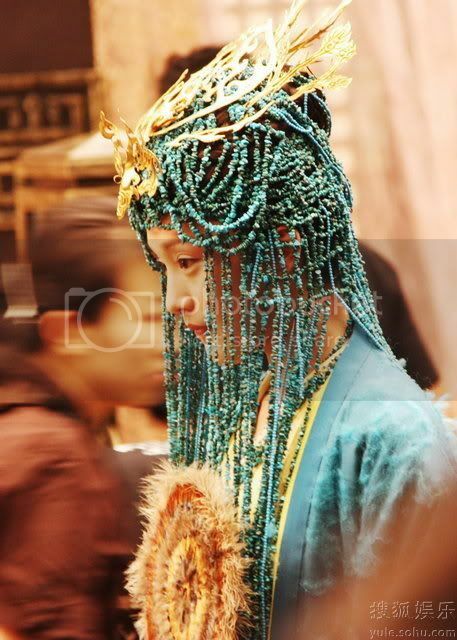 Zhou Xun says her character's gesture is not meant to appear as flirting or tantalizing, although historical records describe Nan-zi as "beautiful and lustful". Some movie-goers have voiced disapproval ever since media reports emerged indicating that the film would not only focus on Confucius' academic establishments, but his love life as well. 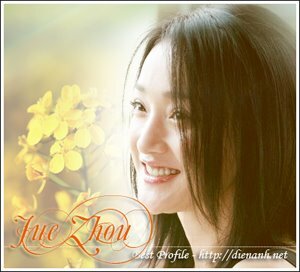 Yet, according to director Hu Mei, Confucius and Nan-zi's meet-up will be the only scene featuring the two together in the film. "I don't know how to explain this scene to you," Hu Mei told reporters, "but I can assure you that it's beyond a romantic scene." Maybe you have to discover the scene's underlying meaning on your own when the film hits Chinese theaters this October. 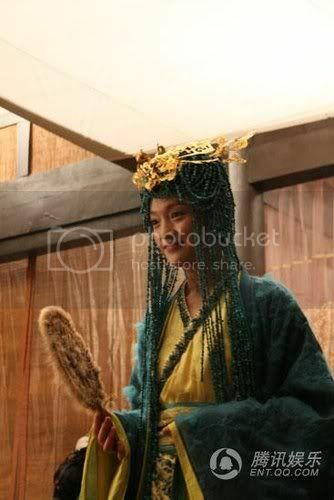 According to the book "Analects of Confucius", Nan-zi, an imperial concubine of the Wei Kingdom in the Spring and Autumn Period (770-476 BC), admired Confucius and invited him for a meet-up at her palace. Confucius agreed to go out of courtesy, but his disciple Zi-lu was not pleased. When Confucius came out of Nan-zi's place, he told Zi-lu, "If I did anything against morals, let God abandon me."